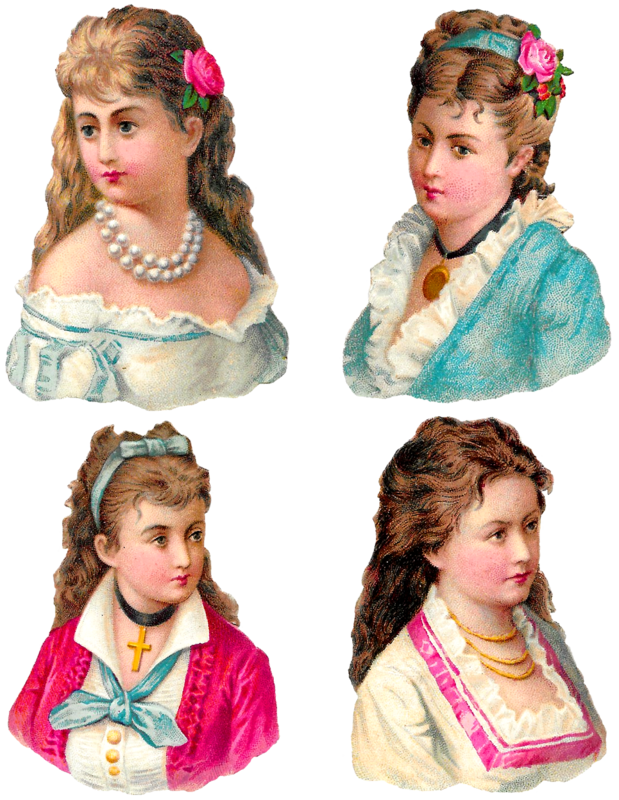 This is a beautiful and colorful Victorian women digital collage sheet download of fashion portraits, created from lovely, little antique paper scrap die cuts. 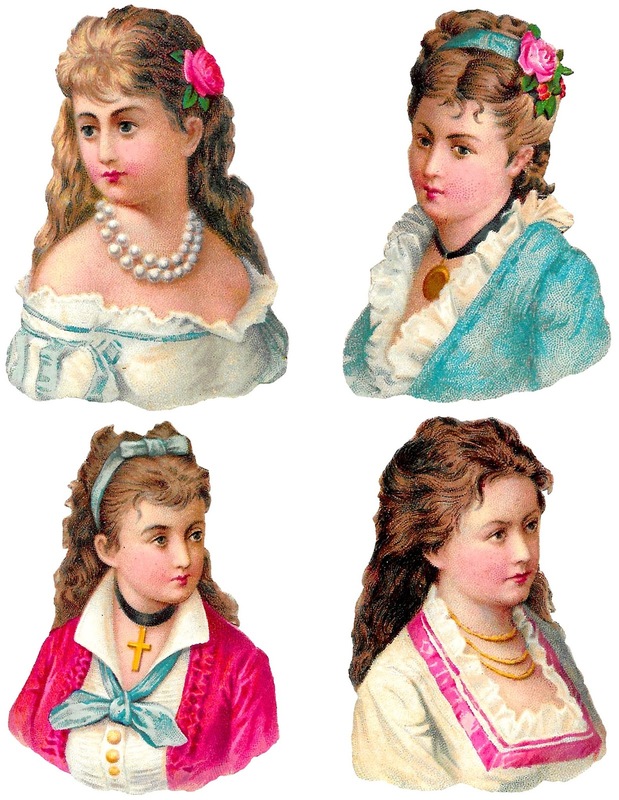 There are four, pretty women portraits on this printable collage sheet. 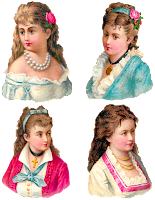 Each of the digital women cliparts is of a Victorian woman wearing beautiful fashions. Two of the fashion images show a woman with pink roses in her hair. And, all of the Victorian women are wearing beautiful necklaces. This is a fun and lovely printable collage sheet for lots of crafting projects.